Come join our conference with our partners at CES to deepen your knowledge of working with high-energy and high-pressure materials. This event is best-suited for Engineering Managers, Reliability/Inspection Managers, Quality Assurance Managers, Outage/TAR Managers and Plant Managers. 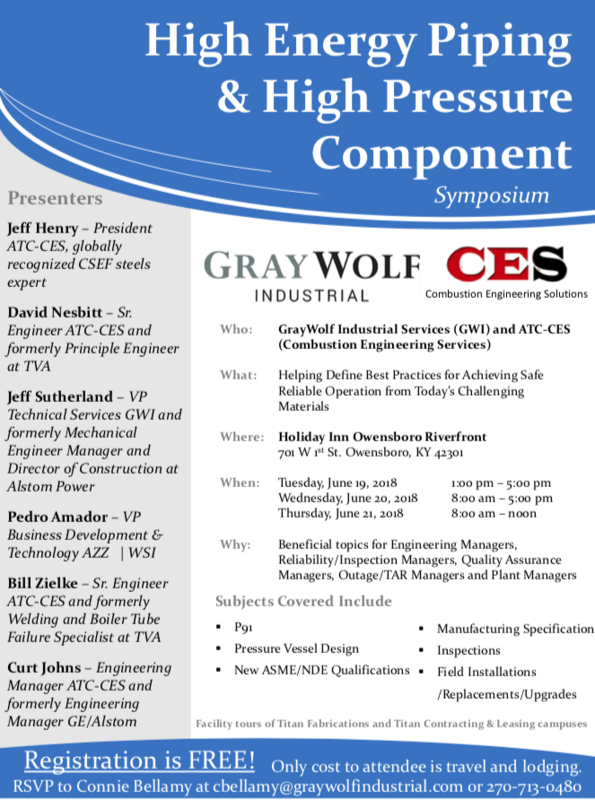 Download our brochure for more information or RSVP to Connie Bellamy at cbellamy@graywolfindustrial.com or 270‐713‐0480.